« Only a few days left to get your favorite games at unbeatable prices! Are you coming to Gen Con in Indianapolis this year? Make sure you visit the Days of Wonder Booth (#1829) in the Exhibit Hall. 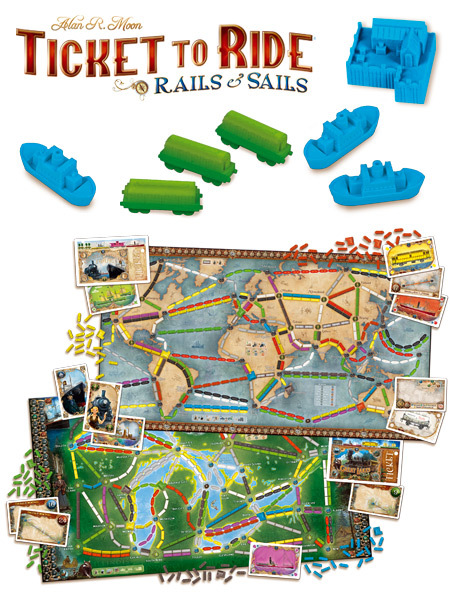 That’s the perfect opportunity to discover the new game in the Ticket to Ride Series: Ticket to Ride Rails & Sails and the new Thieves of Naqala mini-expansion for Five Tribes or to play some of our classics: Ticket to Ride, Small World and Quadropolis. Alan R. Moon (Ticket to Ride), Bruno Cathala (Five Tribes,Shadows over Camelot) and Richard Borg (Memoir ’44) will make appearance on the booth as well for signing sessions (please check the schedule on the show). If you are a Quadropolis player, make sure to stop by the Asmodee Shop and ask for the Ludofact and Waterfront promotion tiles. They will be offered for any purchase there! If you feel competitive, why not try your luck in one of the tournaments (Ticket to Ride, Small World, Five Tribes, Memoir ’44) or Ballroom events? For more information or for registration on those events, please head to the Gen Con Events list (Gen Con Account needed). 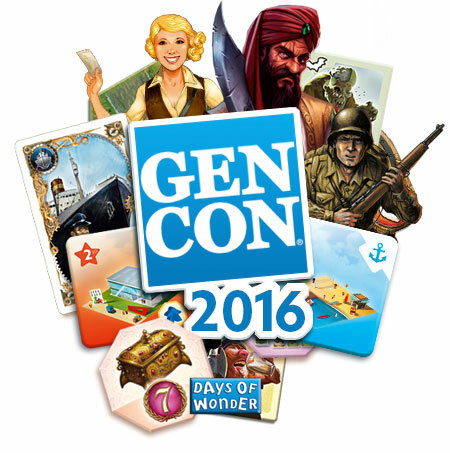 Gen Con runs from Thursday, August 4 through Sunday, August 7. This entry was posted on Thursday, July 28th, 2016 at 14:59 and is filed under Events, Games, News. You can follow any responses to this entry through the RSS 2.0 feed. Both comments and pings are currently closed.